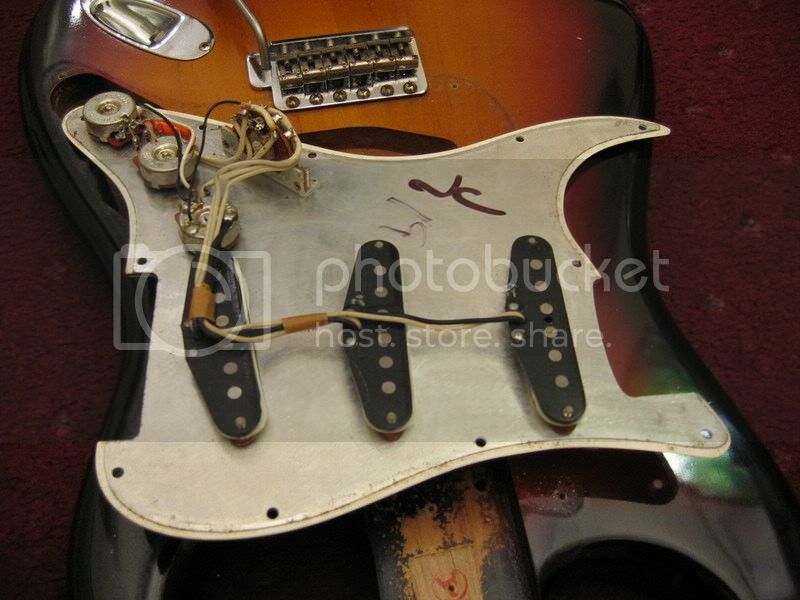 Tokai Forum - a subsidiary of TokaiRegistry.com :: View topic - Fender JV-115 ....omg! 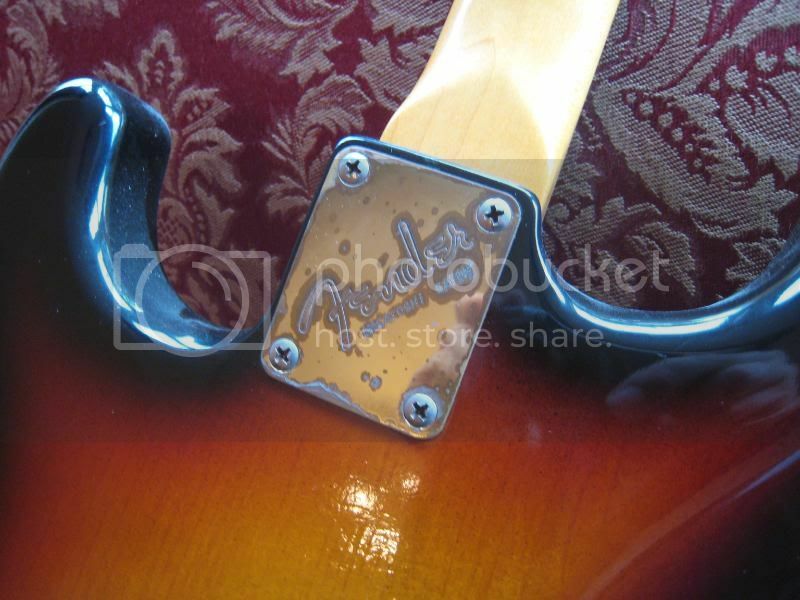 Posted: Sun Jun 28, 2009 9:16 am Post subject: Fender JV-115 ....omg! I just saw this listing on japan yahoo auction, and she just went for over 290,000 yen .......getting rare now? Is that the top of the range model with nitro finish? And I kept on buying til they went over 100000yen. I prefer Fullerton over 115. They age more nicely. 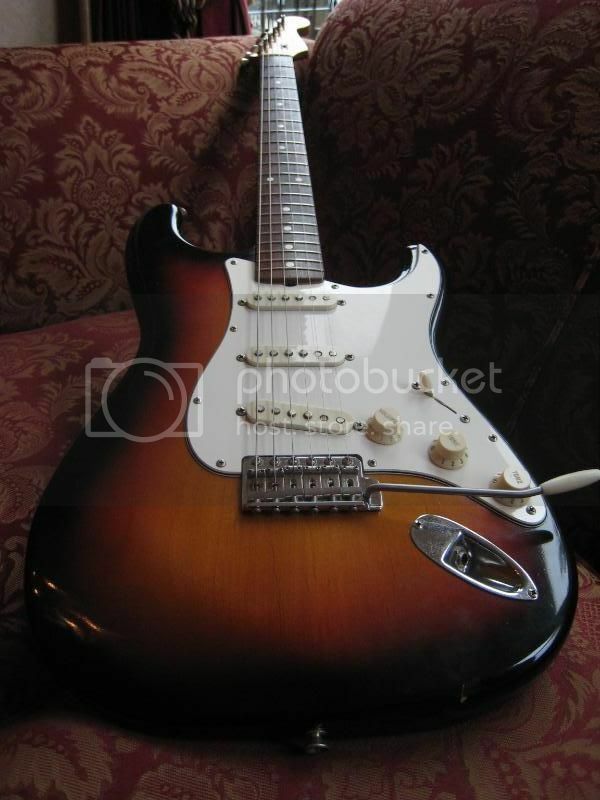 Is this guitar better specs than a Tokai LS-80? 290,00 yen, thats ?1845, $3050. That's about the going rate for a Fullerton. You could probably get an ST80 for half that. I'm glad I got this one when I did !!!! Yes, I meant ST-80. 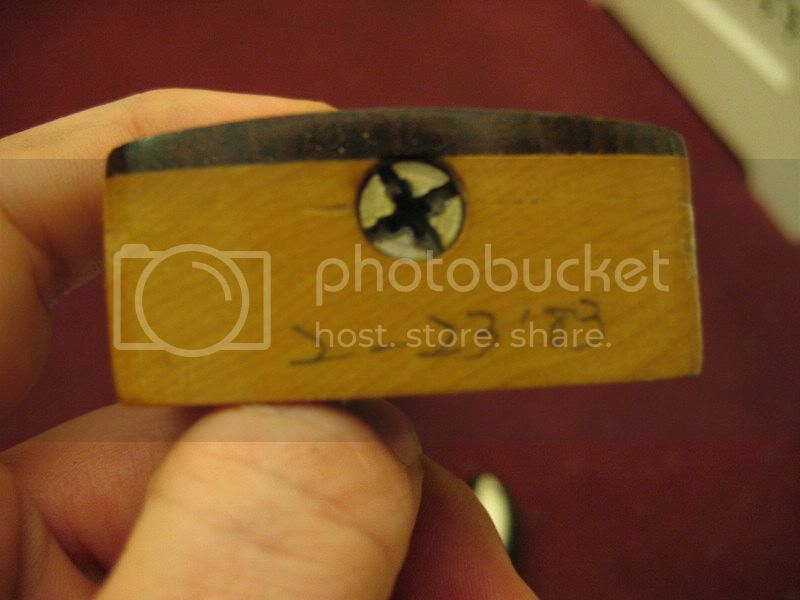 I wonder how it compares to the tokai model specs. Nice photo's chrisheyes thank you! whats the name of the original owner??? 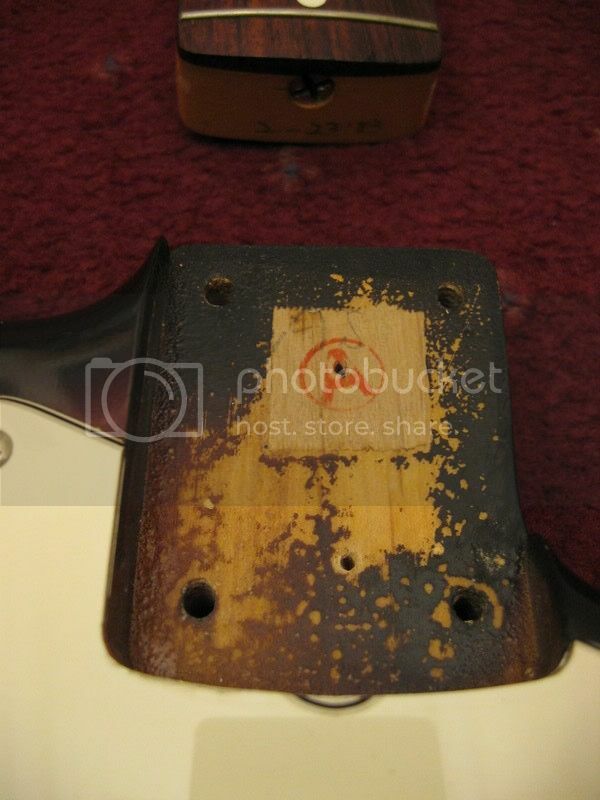 Posted: Sun Jun 28, 2009 9:05 pm Post subject: Re: Fender JV-115 ....omg! Wow! And that's in Japan, not US Ebay. Either somebody really wanted it badly or, considering what my my JVs cost when I got them, I just got a lot richer. I'm not familiar with the JV 115s, but I would assume that they are comparable in specs to an ST80 & a Fullerton (US) 57 or 62RI. They should all be very good Strats, it's just a matter of preference as to which is better. 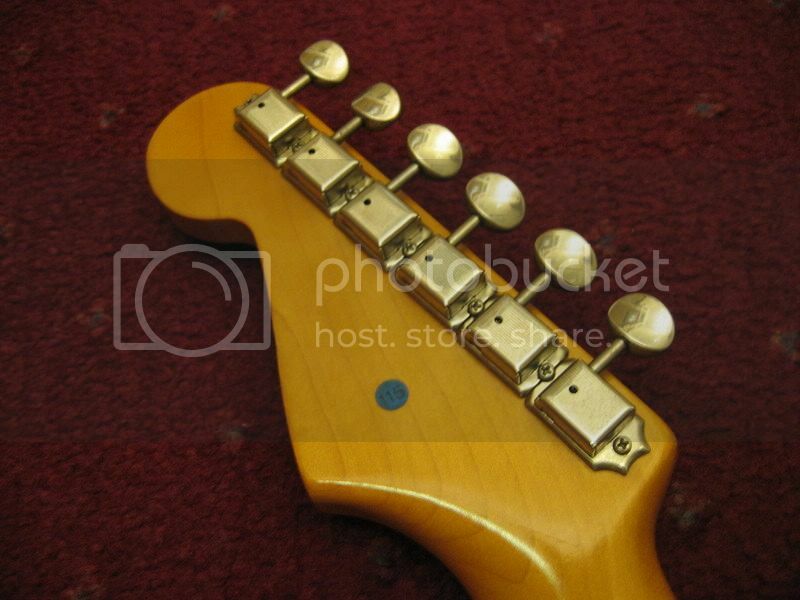 Mind you, most of the Fullertons are likley to have a 3 piece body (typical Fender specs for an original 57 or 62 Strat), whereas an ST80 will be 2 piece. Despite that, I still reckon a Fullerton has the edge over an ST80, but it's a very slight edge. And it's not really about quality, I just love the Fullerton 62RI necks & the softer nitro they used. Any of these guitars should be the next best thing to a genuine late 50s or early 60s Strat, & comparable to a modern Custom Shop Strat, IMHO. In what way? Apparently the dot marker spacing is wrong on some of the Fullertons too, but I couldn't give a toss about that. I agree with you about the age issue, but as new guitars go, they tend to be pretty good. And they should age well over the next 25 years, if regularly played. The same applies to the Bacchus vintage series, at significantly less cost.